Universal Boat Hook is a multi-purpose tool for boaters, aiding in dock line retrieval, recovering overoard items and as a push pole for safer docking. Made of strong UV resistant polycarbonate. 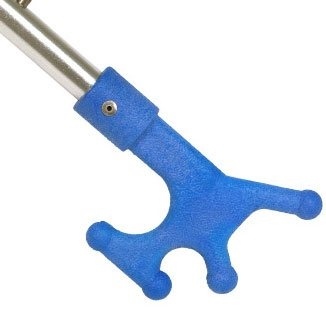 Uni-Snap quick release adapter snaps onto the Perfect Pole telescoping handle. Hook only - does not include Perfect Pole.